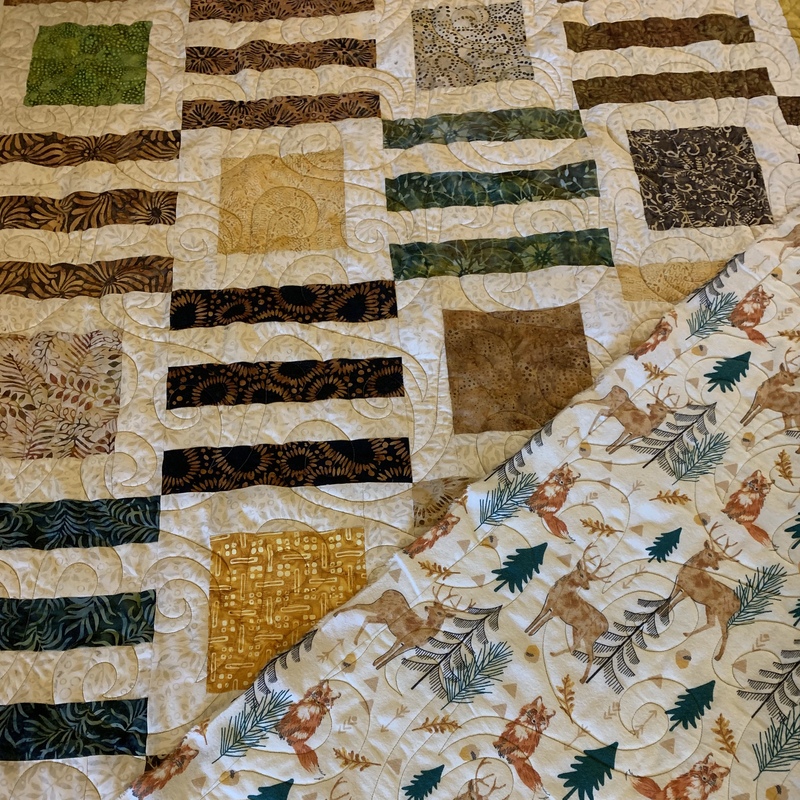 Another beautiful quilt! Love the backing fabric too! : ) Hugs to your Mom! Brenda King, Bend, Or. Love it…the backing is perfect!! Love the backing and seven really is a lucky number. I look forward to your posts each day. Thank you for sharing. Could you share which company made the pantograph? I just got a long arm machine so I’m looking for suggestions on pantographs. It’s a bit overwhelming. I think it is wonderful that you and your mother share a love of sewing. Congratulations on finishing quilting all the quilts. I love the tradewinds fabric — I mad a quilt last year for my office sofa using that fabric — the fabric colors are very vibrant! Congrats on meeting your goal! Congrats on hitting your goal!! That flannel!! Nothing better than a cute flannel on the back of a quilt to make it extra cozy. of listening to saying their too old to do things. Your mother God Bless her is a woman with a good attitude to life. Mary, your quilts are beautiful I really like the one with the dogs.